This is a guest-post in the form of a written interview with a female patient about her experience of hijama therapy in Qatar for the treatment of sacroiliac pain after delivery. – What condition did you suffer from (if any)? 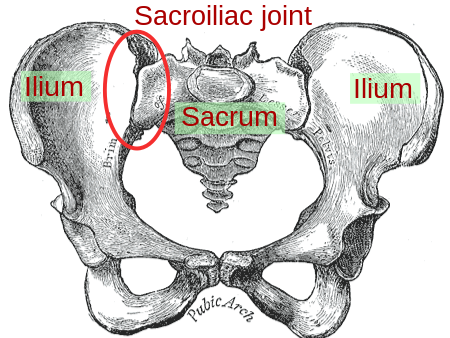 I was suffering from bilateral sacroiliac pain (inflammation) on both my hips for the past 4 years after delivery by Caesarean-section. My life was not normal. Getting up, from a lying down position, standing after sitting squatting down to play with my toddler was a pain which wouldn’t let me enjoy my life as a normal person. – What other treatment did you try before trying hijama therapy? I had done all kinds of allopathic treatments in different genres ( ortho, neuro, rheumatology). Tried numerous painkillers, ointments,oils massages. etc for 4 years. I was shunting between doctors and therapists. – Where do you live and where did you go for the hijama therapy? I live in Qatar and I went to a female therapist after searching from Hijama Directory. – What did the treatment involve? My treatment involved wet cupping 5-6 points in first session and wet cupping along with massage cupping using aroma therapy oils and some massage in second session. – What was the result? Alhamdulillah I can feel tremendous change. My pain has reduced to great extent, I never could think before hijama that this pain would go. – What was your overall impression of the therapist and her practice? Alhamdulillah my result says it all..definitely my therapist did a great job in my case. She handled my feelings and my thoughts with utmost care and hospitality. After making sure I am not anaemic she started to brief me with the procedure and with great hygenie she started applying cups. Before undergoing treatment I was bit nervous as to how much painful the procedure might be. She advised me with pre and post conditions about hijama. She even advised me few follow ups and some aromatic oils which would make me free of the minute pain which I have. Jazak Allah Khair to her. – How did the therapist get to learn hijama therapy (was it a course he attended or was it something handed down from generation to generation in their family)? She had her Hijama course done from U.K.and learned with many specialists in Qatar and India. She has even obtained a first class course in Emergency medical first aid from the sole local Hamad Hospital recognised by the Supreme Health Council to handle any emergencies with her patients and advise them accordingly. Our thanks to the patient (who prefers to remain anonymous) for sharing the above post. If you have any questions or comments, then please leave a comment* below. If you are a hijama therapist or patient and are happy to share your knowledge or experience via a guest blog-post like the one above, please send me an email to: hijama.mail@gmail.com. FREE Video Series: Do You Want To Become A Hijama Practitioner? MEDICAL CUPPING THERAPY WORKSHOP in Istanbul, Turkey by NHI Sunnah Days For Cupping (Hijama): Rabee Athaani / March 2012 SURVEY RESULTS: Have you had Hijama Therapy? Hijama Nation is now registered and approved by the Complementary Medical Association (CMA). "Hijama & Aromatherapy" Course & Workshop in Leicester in September, 2011 Summer 2011 cupping (hijama) training workshops for women in UK First International Cupping Therapy Conference on 22 - 24 July, 2011 Sunnah Days For Cupping (Hijama) Rajab 1432 / June 2011 "Cupping: Mind, body and soul"
Sunnah Days For Cupping (Hijama): Rabi Ul Awwal 1432 / Feb 2011 Hijama in Manchester and Blackburn, England SURVEY RESULTS: How painful, sore and scarring is Hijama? Sunnah Days for Hijama December 2009 / Dhul Hijah 1430 A Hijama experience from London, England Hijama in Jeddah, Saudi Arabia and in Hyderabad, India Are you a hijama (cupping) therapist? Book your local Hijama workshop in UK this summer with Health Means Wealth (Women Only)! Hijama is like an oil-change for the Human Body A perspective on the effects and benefits of the ancient art of Hijama therapy. Can Dry Cupping be a Diagnosis Method for Wet Cupping (hijama)? Abu Yaqoob, a Hijama (Cupping) Therapist in Toronto, Canada Is Cupping Therapy (Hijama) effective for the Treatment of Lower Back Pain? Female Hijama Therapist now available in Leicester! Dr Ridwan Ahmed launches Hijama (Cupping Therapy) in the West Midlands! My husband's recent experience of Hijama (Cupping) Therapy "A Brief Introduction to Cupping Therapy (Hijama) by a practicing therapist" The Two (no Three!) Main Reasons to have Hijama (Cupping) Therapy! A HEALTHY Chinese New Year from Ahealth.co.uk! Toxic Build-up In The Blood and The Human Body. This blogsite has been set up by a growing group of hijama (cupping) enthusiasts based in Leicester England, to provide more information and other services as they become available on this therapy. How is Hijama normally done?